Home > Holiday Specials > Bee & Ladybug Bird Feeder Combo! Bee & Ladybug Bird Feeder - Holiday Combo! Get ready to bring simple charm and happiness to your garden with this adorable HOLIDAY COMBO pair of hanging metal bird feeders! 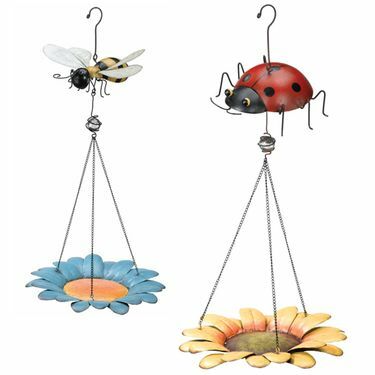 Each combo comes with one "Sweet as Honey" Metal Bee bird feeder and one "Lucky Red" Ladybug bird feeder to surround your flowers and feathered friends!